In the daily life of a mechanic, they have to open and fix the nuts of various machines. Especially the car mechanics, they have to deal with opening and fixing tires and other parts of the car. To do this work done they use the socket sets. There are mainly two types of socket sets these are chrome socket/ non impact and impact socket. 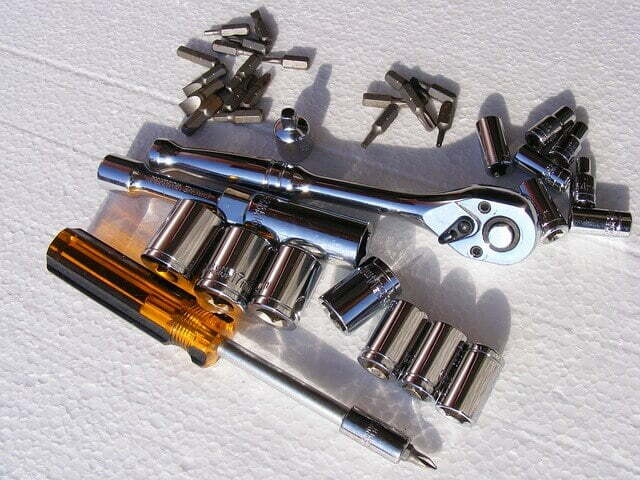 Chrome sockets are designed mainly to work with the hand tool. But, you can use impact socket with an impact gun. If you want to buy a socket set for your car then you should depend on the impact gun. If you have an impact gun then you should buy impact socket. But If you don’t then choose the non-impact socket. I will describe you the reason below. Now, let’s talk about the title what are impact sockets made of. To make the socket, manufacturers used the most common steels. These are like chrome vanadium, chrome molybdenum, and stainless steel. Both of the impact sockets and non-impact sockets are made of these materials. But impact socket has used the carbon materials to the wrap up the alloy materials. This carbonized surface of the impact sockets makes it harder than non-impact sockets. Non-impact socket uses only the core materials which are softer. That’s why creating force or making extra torque using an impact gun breaks the non-impact socket. And the nuts are not easily openable by the combination of non-impact socket and gun. The hard materials of impact socket make it more durable than other sockets. That’s why impact socket is expensive than other types of sockets. If you don’t want to use the socket for your profession then you should not buy the impact socket. Because impact sockets are highly recommended for professional use. However, you can use it if you want to. Of course, impact socket is better than non-impact but the uses of and your needs will tell you which one is best for you. As I said if you have an impact gun or want to buy both impact gun then you can use an impact socket sets. But if you need the socket set only to open your car’s tire at emergency then you should choose the non-impact socket. To use the non-impact socket, you will need the hand tool. Which are affordable and not too much expensive like an impact gun/ wrench. To use the impact gun, you will need the electric source. It can be either direct electric power or rechargeable battery. If you run a mechanical shop and want to buy an impact gun then choose the regular impact gun. Because you have to work with impact gun whole the day. And it's not possible to recharge the Gun in the middle of the work. Impact socket has also a problem carrying in the car. When the car tire is running flat, you will need to open the tire. But to open the tire using impact gun you will need energy source in case the gun is not rechargeable one. So here you will face a big problem fixing the tire. So, you should use the non-impact socket with hand tools for convenience. All impact sockets don't give its best performance. Because the performance of the sockets depends on the feature. So, while choosing impact socket set decide which type of socket you need 12 points or 6 points socket set. More angles of 12 points socket will allow you to get the advantage of rounding the bolt that has more than 6 angles. But the less contraction with the angles of the socket point will not work properly for 6 angles bolts. Another thing to decide while choosing impact socket is the socket type. You can either choose the deep socket or shallow socket. But it depends on the type of bolt. If the socket doesn’t reach the bolt angle then you have to use the deep socket. The drive size of the socket is also an important factor while choosing impact sockets. You don’t need to think about this much. Because if you buy a whole set of sockets the two types of drive size ¼ and ½ will be in your socket set. So, these are all information that I got for you to choose the right socket set for your work. 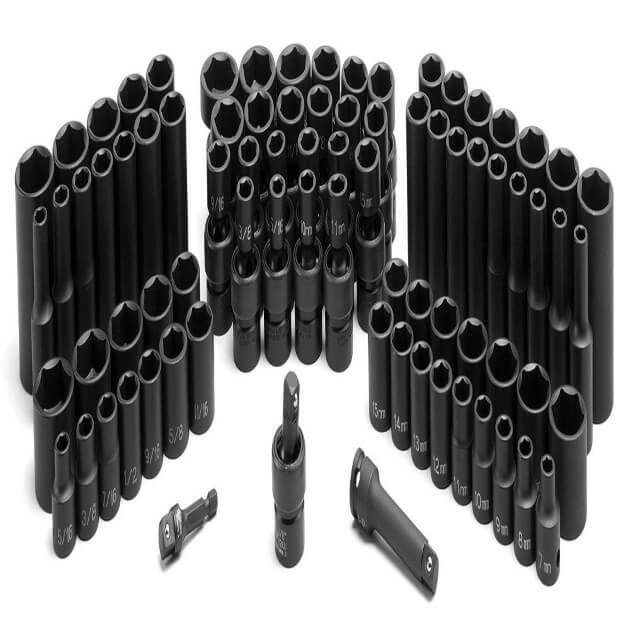 It will be wise decision to choose the impact socket set because you will get a lifetime warranty on it.